The Path to Nibbana" is read by a text to speech voice so you can listen to the book. "Beautifully written like one word flows into another ;written with such clarity..." from Amzn. review. What is Nibbana? The experience and how to achieve it is in this book. Awakening actually is possible! This new book definitely says yes, but only if you add back in the step that is left out of other methods. And only if you follow the method laid out by the Buddha in his earliest teachings. 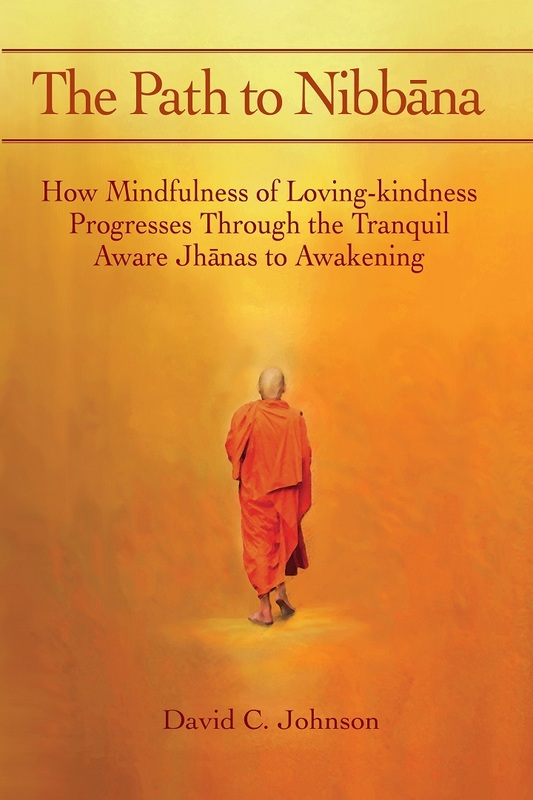 Nibbana can and does happen with practice - and in this book you will be shown the step by step progression through the eight aware jhanas (levels of understanding) to the final cessation and the appearing of the unconditioned (Nibbana); and the incredible joy that arises afterward. It will give you the instructions on how to practice - even at home at your own pace. This is a complete meditation handbook with all the instructions to achieve the goal and all of the levels of knowledge along the way. And now includes full text of "A Guide to Tranquil Wisdom Insight Meditation (TWIM)" and the full text of "A Guide to Forgiveness Meditation." You will learn a different definition for Mindfulness that totally changes how you practice; and about a step in the text that has been left out of contemporary practices that is the key to the deepest levels of tranquility. Learn the basics of Tranquil Wisdom Insight Meditation (TWIM) which is really the practice of Loving-kindness and the Brahmaviharas from the earliest Buddhist texts: The Majjhima Nikaya and the Samyutta Nikaya. This book will guide you from the beginning stages to the highest attainments laid out clearly and concisely. Many previous students’ experiences have been compiled and researched to create the basis for this book. Additionally, other popular methods are compared here against the suttas to see if they match the Buddha's teachings and lead you to the enlightenment.